"There was a sudden and unexpected change in the fire"
SHOW LOW, AZ (KPHO/KTVK) - Six firefighters were transported to the hospital after deploying their fire shelters while battling the Cedar Fire near Show Low on Tuesday. There was a sudden and unexpected change in the fire, according to Candy Lupe with the Bureau of Indian Affairs Fire Management. A group of fire crews had to deploy their fire shelters. Once the danger passed, they were able to walk out and get medical help, Lupe said. The six firefighters were treated for non-life threatening injuries. They were treated at Summit Healthcare Regional Medical Center in Show Low and were released. Fire shelters are small tents the firefighters carry with them and crawl under if they are overtaken by flames. The incident brings back memories of the Yarnell Hill Fire in 2013, where Granite Mountain Hotshots deployed their fire shelters. In that case, the fire was too intense for the fire crews and 19 firefighters died. The third anniversary of the tragedy is coming up on June 30. 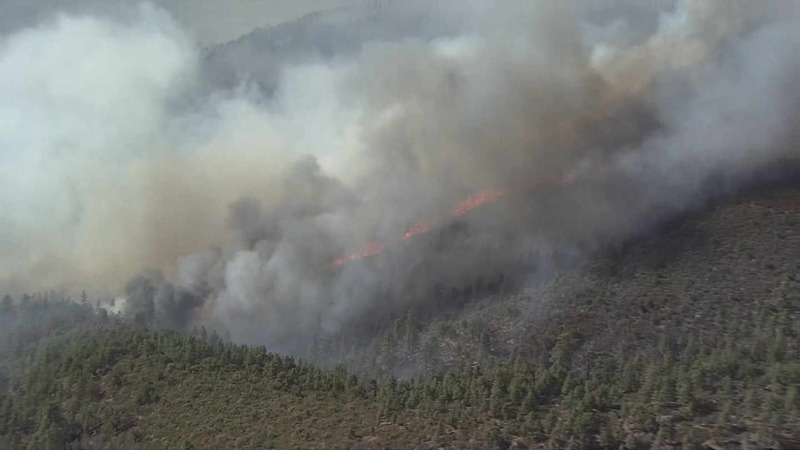 As for the Cedar Fire, the wildfire has burned 45,977 acres since it started on June 15. It is 75 percent contained as of Tuesday evening. Firefighters hope to have full containment by early July.